While the D.C. area faced surprise severe thunderstorms, the cherry blossoms entered stage three of blooming. While the rest of the Washington area was concerned with surprise showers and thunderstorms Friday, D.C.'s cherry blossoms were entering stage three of their development: extension of florets. The National Park Service announced on Twitter Saturday morning that the cherry blossoms are now halfway to peak bloom in the first week of April. 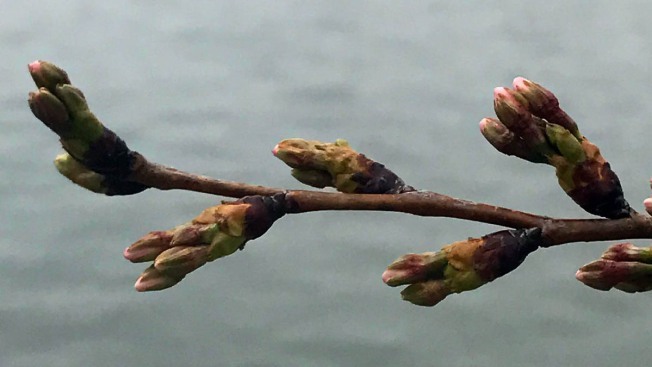 "While we were all distracted by the snow showers and thunderstorm yesterday afternoon, the cherry blossoms quietly reached stage three of the #bloomwatch - extension of florets," the Park Service said. "Halfway home and still on track for peak bloom the first week of April!" Those peak bloom dates are forecast for April 3-6, but viewers can see their natural beauty long before, as flowering trees are being spotted all around the D.C. area. 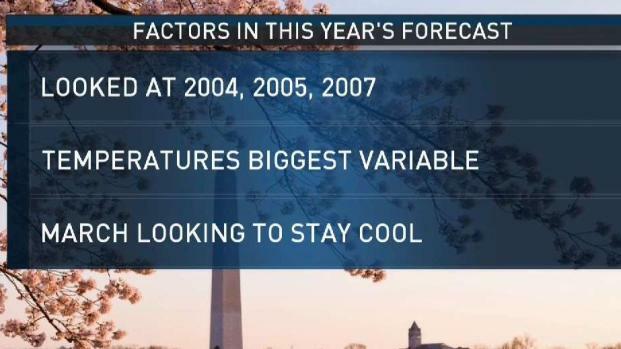 Read more about peak bloom and what it means for viewing dates here, and check out NBC Washington's guide to all things cherry blossom season here.